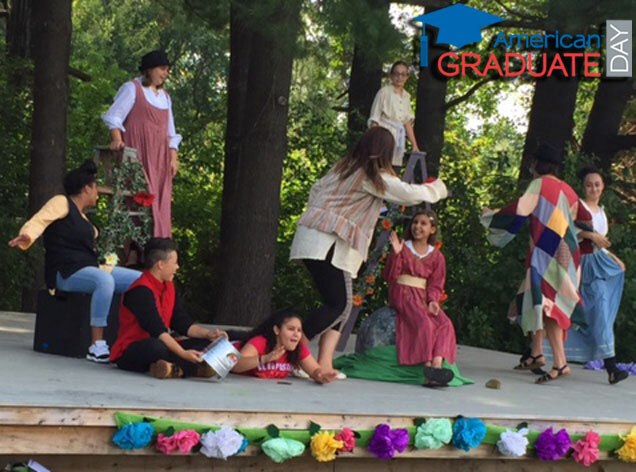 Enchanted Circle Theater & Holyoke Youth Featured Saturday on American Graduate Day! We want to update you on today’s post of American Graduate Day, broadcast by WGBY tomorrow with host Soledad O’Brien. As part of the 7- hour program, you can watch a mini-documentary that WGBY produced of Enchanted Circle Theater’s (ECTs) “Shakespeare Academy.” This local feature, which is part of the celebration of American Graduate Champions, can be viewed between 1:00 and 2:00pm. You can watch ECTs intensive-five-week summer program for inner city youth (grades 6,7,8) from Holyoke on WGBY or streat it online. (#AmGradWGBY) You can also learn more here.